New Delhi : BCCI recently announced a playing squad for Team India, who will be playing against South Africa days after New Year kicks in. The two teams will be playing all three formats of the game in a tour span of over close to two months. The tour will begin with a three-match Test series, followed by six ODIs and three T20Is. 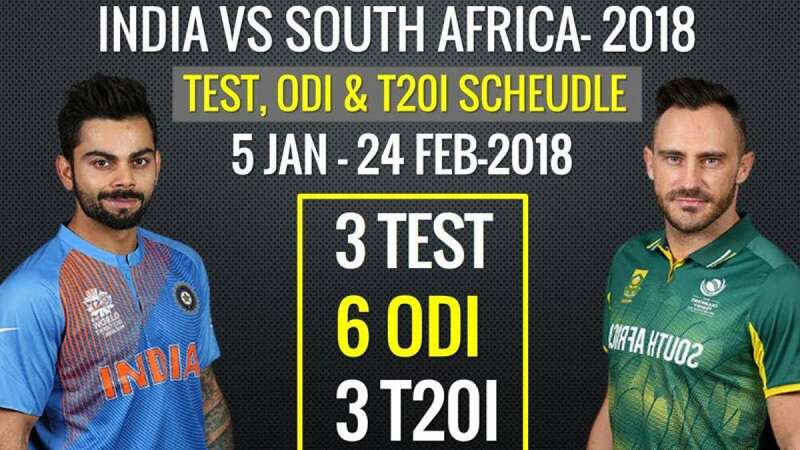 Since, India has never won a Test series against South Africa and they will be looking forward to take advantage of their great winning form this time. South Africa has hosted India for six Test series since 1992/93. Out of these, India have lost five and managed to draw one. In ICC rankings, India has been ranked number 1 as the Test team while South Africa stands at the number 2 position. It will be a challenge for India to prove their worth by giving hosts a tough competition.